This is design by committee at its most bonkers. Questions were asked, numbers were crunched and the most and least wanted paintings for a dozen different countries were made. Oh dear. 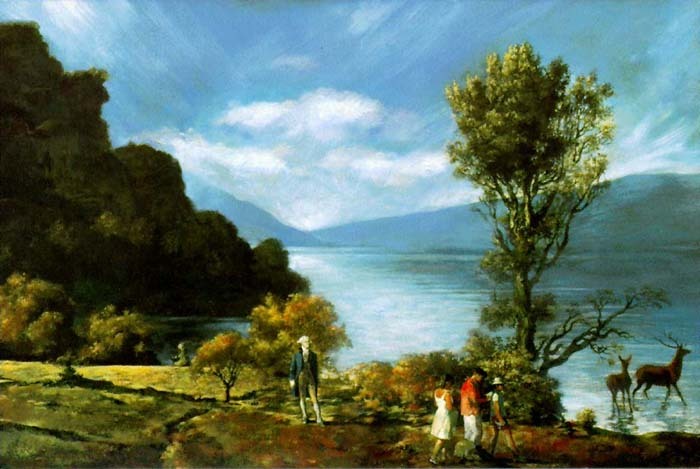 The painting most wanted by the 1001 Americans surveyed was a landscape (lakes, rivers or oceans were the preference of 49% of those surveyed) approximately dishwasher size and containing a group of people and (and I’m not sure this came from the survey results) George Washington. Blue and green are the dominant colours. In most countries those surveyed expressed a preference for a landscape with lakes, rivers or oceans – only the Netherlands wanted an abstract painting – so the Most Wanted paintings share a common aesthetic; each is every bit as cheesy as the last. The Least Wanted paintings aren’t much better. Here most are abstract and generally smaller than the Most Wanted for that country – again, the Netherlands bucks the trend, though this time it has company – and reds, yellows and oranges are more prevalent than the blues and greens of the Most Wanted. 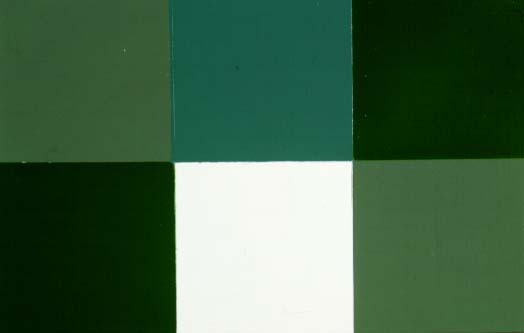 Several of the Least Wanted are grids of coloured squares (including the German one, though that is large and the squares form a repeat pattern) such as those Gerhard Richter paints. The survey is of course as flawed as these things tend to be. Surveys aren’t ever an exact science. Someone has to write the questions and quantitative as the hard results might be, interpreting them can involve a whole new set of assumptions. As artists, Komar and Melamid aren’t bound by the same rules or conventions as those who might normally design surveys of this nature so the questions aren’t necessarily as precise as they might be, after all, who’s going to challenge the validity of the survey with any degree of authority? There is a wonderful madness about a lot of Komar and Melamid’s work. Their work is intentionally both very funny and utterly serious. There are other artists who take on the roles of scientists, psychologists and so on, often with excellent results – this is an approach I have a lot of time for for some reason – but there are few who pursue absurdity with such absolute determination. Komar and Melamid, born in the Soviet union in the mid-1940s but living in New York since the late 1970s, worked together for three decades but stopped collaborating in 2003. I, for one, wish they were still out there cooking up bizarre project ideas and making art that makes me smile. This entry was posted in Painting and tagged art, Komar and Melamid, Least Wanted, Most Wanted, painting, survey by Ann Jones. Bookmark the permalink.